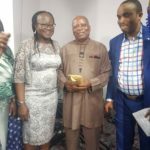 The motive behind African Alliance taking up a new brand identity is borne out of a need to deliver excellent customer service in a bid to remain continually progressive. We realize that rebranding is a necessity for the growth and development of any outfit or organization and hence we have made this decision in order to reposition the company. The move to rebrand is one that we hope will refresh our company’s mode of operation with our main focus on maximizing customer satisfaction. Rebranding is an audacious action usually set in motion when an organization is at the brink of a new frontier, and we believe that is where we are, at the moment. 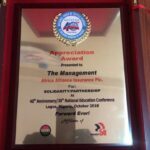 What is Rebranding to African Alliance? Rebranding simply means creating a new brand image or corporate identity. In this case, we have decided to increase our brand image and perception by changing up a few things like our brand logo, our company colors and design and even our website, which has been tweaked to become even more user-friendly. Rebranding usually tends to go deeper than just the aforementioned changes and hence other things like boosting customer confidence by meeting and surpassing customer expectation is now more than ever a core goal for us. We also plan to penetrate the youth market using renewed strategies that will appeal to millennials and the younger generation as a whole. We believe that rebranding will allow African Alliance to run for excellence and very importantly, longevity. Longevity: An Offspring of the African Alliance Rebranding Process. Longevity is a key component of rebranding and this is because when a company decides to take on a new image or launch a new identity, it is usually done to match the requirements of a new business era. This for us remains customer satisfaction and boosting confidence in our stakeholders. Nonetheless, how exactly does rebranding birth longevity? 1. Social & Business Relevance. Rebranding, when executed properly, will attend to the socially relevant needs of the customers. The times keep changing and any brand who doesn’t scale up the ladder will die. In order not lose relevance we’ve taken a decision not to miss the window to rebrand. Your organization may not stand the test of time once you become socially irrelevant or out of touch with your customers. 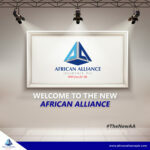 While an organization may have recorded admirable successes over the years, your current brand may not be able to reach a certain audience or unlock a particular demographic and this is another reason African Alliance is rebranding. We plan to expand our reach in the hopes of gaining increased acceptance especially among young people. Note that for any company to stand the test of time, the only way forward is up and that means a continuous growth in the customer base. If your customers or stakeholders can’t trust you to stay up-to-date, they will lose their interest in your brand. People want to know that your brand will always keep things fresh. A brand that is impervious to change cannot grow and we have a concrete understanding of this. African Alliance wishes to gain the trust of its customers and the respect of its stakeholders. What you trust, you will come to respect and we like to believe that this is how long-term relationships are formed and maintained. Longevity is the desire of any brand, business or organization. After all, is said and done, no company wants to become obsolete or forgotten in a few years. We are a premium life insurance company that has remained at the frontline of insurance in Nigeria and Africa since the 1960s. The struggle towards growing a healthy business or a balanced organization that satisfies the needs of its customers no matter the dispensation has indeed been a tough and competitive one. Nonetheless, it is important to note that the battle for longevity is fought on the field of relevance and only those who make efforts to stay alive will eventually survive.